Don’t lose your cool . . . or your boat: Anchor management! Anchoring your boat and enjoying a day of quiet rest can be almost as fun as cruising. While it is enjoyable to simply jump off the boat and swim around it (swinging on the hook as we call it), it is also fun to anchor out and raft up with other boaters. (For more information, see my blog on rafting up). To get the most out of the experience, and to be safe, it is important to know how to properly set an anchor. This a necessary skill that every boater should master. Proper anchoring helps you control your boat in bad weather and keeps your boat secure if the engine quits. It is also vital when the wind and the currents are a factor. Anchors are made to burrow into the bottom. If an anchor is set right, the more your boat pulls, the harder the anchor digs into the bottom. Choosing the correct anchor has more to do with what’s under the water than the type of boat that you have. For instance, some anchors work best in sandy bottoms, while others are made for grassy or muddy riverbeds. 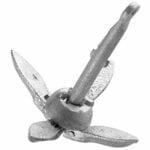 Pivoting steel fluke anchors are made to work in mud and sand. 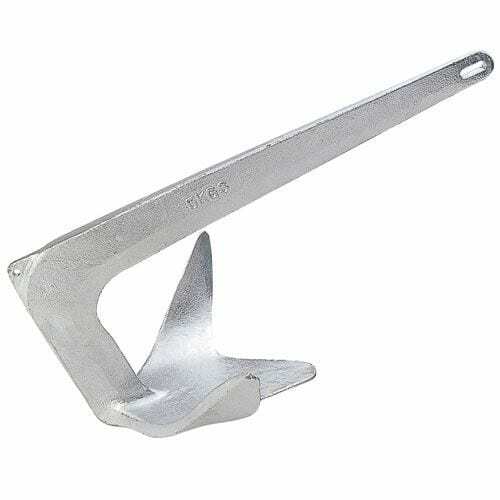 They are perhaps the most common of all anchors available. The pivoting steel fluke anchor has two steel points that pivot and dig into the bottom. 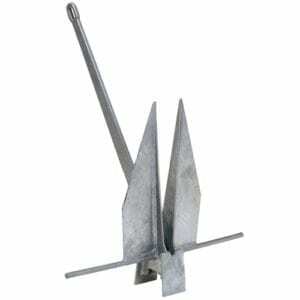 Plow and claw anchors are similar to pivoting steel fluke anchors, except the pointy part is stationary. These are good for holding your boat in rocks and weeds, and sand also. 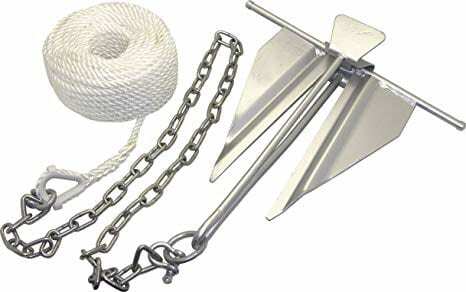 Grapnel anchors look like a big grappling hook. They are used with small boats when the water conditions are mild. 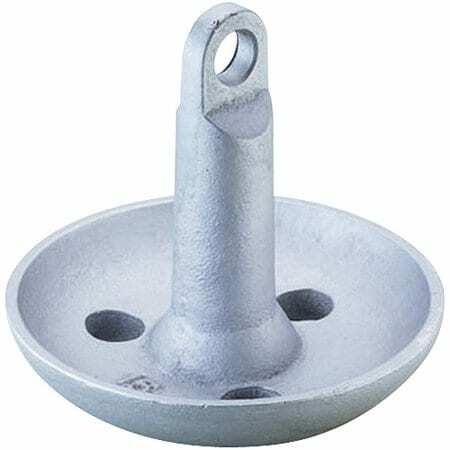 Mushroom anchors don’t have a lot of holding power, and are generally used in skiffs, canoes and inflatable boats. Lastly, we have land and shoreline anchors. They’re used to secure a boat to the beach. Of course, to talk about anchoring you need to know the lingo. The anchor road is the line, which is the nautical term for rope that attaches the anchor to the boat. Scope is the term for the amount of road you have when you’re actually anchoring. An anchor road is made up of a long length of line. I recommend nylon. It’s strong, it stretches under load and it lasts a long time. You should have several feet of chain, a couple of shackles to fasten the line, the chain, and the anchor all together. How do you know how much road you need? It’s simple math. A good rule of thumb is to have an anchor road equal to five to eight times the depth of the water. Use a 5-to-1 scope for daytime anchoring, and an 8-to-1 scope when anchoring at night. Here’s an example to make it easier. Say you’re in 10 feet of water and you want an anchor line. You need the line to be between 50 and 80 feet, which is a 5-to-1 or 8-to-1 foot road. What if you’re in 50 feet of water? You would need an anchor line between 250 feet, or 400 feet. It’s easier than you think. Get out on the water and give it a go. Practice makes perfect. You’ll do fine. Hope to see you out there. Good luck and safe boating! There Are Many Ways to Coil a Line!